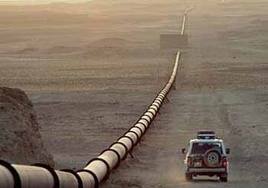 Two major pipeline projects are at present vying to secure future energy supplies to Pakistan, India and China. One originates in Iran while the second one draws on reserves in Turkmenistan. The latter is promoted by an Israeli group and is supported by Secretary of State Clinton. According to Manlio Dinucci, an attack against Iran could cripple the Iranian project, which is currently ahead of the game. The question remains whether US leaders are still really in line with this strategy, as hinted in recent statements by Secretary of Defense Leon Panetta. 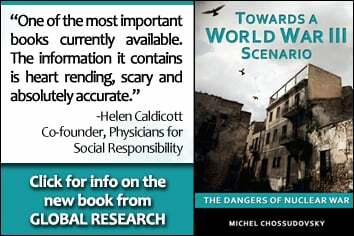 US nuclear weapons and their preemptive use are part of the options. Words worthy of a Nobel Peace Prize. That’s the scenario. To find out what it is really all about, we need to go behind the scenes. Leading the anti-Iranian crusade is Israel, the only country in the region which possesses a nuclear arsenal and, unlike Iran, refuses to sign the Nuclear Non-Proliferation Treaty. Then we have the United States, the World’s greatest military power, whose underlying political, economic and strategic interests, will under no circumstances allow that a state in the Middle East, namely Iran, escape its influence. It is no coincidence that the sanctions promulgated by President Obama last November ban the supply of equipment and technologies which would “enhance Iran’s ability to develop its own oil resources.” The embargo has been joined by the European Union, buyer of 20% of Iranian oil (of which about 10% is imported by Italy), and Japan, which imports a similar amount and whose need for oil has further increased as a result of the Fukushima nuclear disaster. This embargo constitutes a flying success for Secretary of State Hillary Clinton, who convinced America’s allies to freeze energy imports from Iran at the expense of their own interests. The embargo, however, is not working. Defying Washington’s ban, Islamabad confirmed on March 1st that it will complete the construction of the Iran-Pakistan gas pipeline. More than 2 000 km long, the Iranian section will soon see the light of day whereas the Pakistani side of the pipeline will be finished by 2014. It could, at a later stage, be extended by 600 km to reach India. Meanwhile, Russia has expressed interest in participating in the project, whose estimated cost is $ 1.2 billion. And China, which currently imports 20% of its oil from Iran, signed an agreement with Tehran in February, which contemplates an increase of half a million barrels per day in 2012. Pakistan is also expected to boost its imports of Iranian oil. Furious, Hillary Clinton has stepped up pressure on Islamabad, using the carrot and the stick: on the one hand the threat of sanctions; on the other the offer of a billion dollars in support of Pakistan’s energy requirements. In exchange, Islmabad should abandon the pipeline with Iran and rely solely on the Turkmenistan-Afghanistan-Pakistan-India pipeline, backed by Washington. Its cost is estimated at 8 billion, twice as much as originally foreseen. In Washington, however, it is the strategic motivation that ultimately prevails. The Turkmen natural gas deposits are largely controlled by the Israeli Merhav Group, headed by Mossad agent Yosef Maiman, one of the most influential figures in Israel. But the construction of the pipeline, which in Afghanistan passes through the provinces of Herat (where the Italian troops are stationed) and Kandahar) is behind schedule. As things stand, it is the Iran-Pakistan pipeline which has the upper edge.